Kingspry congratulates Dr. Kathleen Conn, PhD, JD, LLM, Of Counsel, who has been invited to present at the at the University of North Texas in Denton, Texas at their Higher Education Law Conference on March 25-26, 2019. Dr. Conn is an educator, consultant, and attorney. She earned her B.S. in Physics from St. John’s University in New York. She was the first woman admitted to Medical Biophysics/Radiation Biology Department at the University of California at Los Angeles (UCLA), and earned her M.S. there. She earned a dual Ph.D. in Physics and Biology at Bryn Mawr College Graduate School of Arts and Sciences in Pennsylvania, with a dissertation on molecular dynamics of complex organic molecules. She completed a Post-doctoral Fellowship in molecular biophysics at Lankenau Medical Research Center in Philadelphia, investigating cancer metastasis through epithelial cell tight junctions. Ms. Conn’s educational experience includes college teaching and 18 years of service in public school districts in Pennsylvania, as a teacher, K-12 curriculum supervisor, and elementary school principal. She has also been a consultant to school districts, private schools, and Intermediate Units on issues of school safety, bullying, cyberbullying, sexual harassment, and special education. 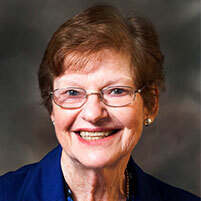 For the last seven years, Ms. Conn has been an Associate Professor at Neumann University, in Neumann’s Ed.D. program, where she has been teaching courses in curriculum development, school law and finance, and multicultural issues; supervising graduate students’ research, and serving as Dissertation Chair for doctoral students. Dr. Conn received her J.D. and her LL.M. in Corporate Law and Finance, both with honors, from Widener University School of Law where she was a member of Moot Court and the Widener Law Review. She currently teaches as an Adjunct Professor at the law school. She is a member of the Pennsylvania bar and is admitted to the bar of the United States Supreme Court.